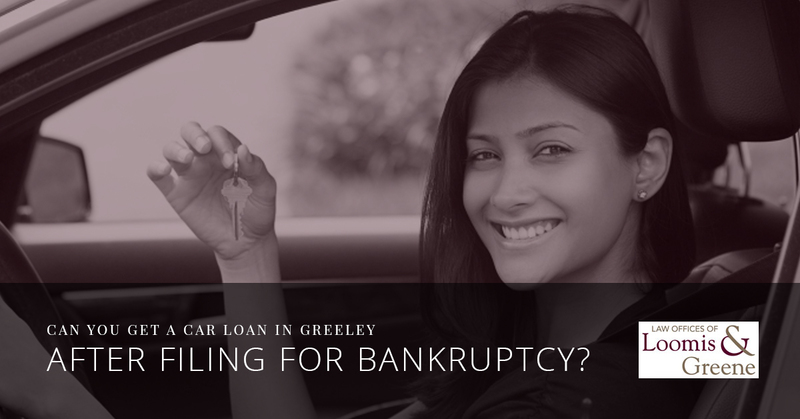 Can You Get A Car Loan In Greeley After Filing For Bankruptcy? When you decide use filing for bankruptcy as a means of solving your financial woes, the process can be a stressful and lengthy one. After people file for bankruptcy, they often come into our office wanting to know two very important things. The first thing they want to know is whether bankruptcy will get rid of their debts. The second thing they want to know is how long it will take them to re-establish their credit. For the most part, bankruptcy will eliminate most debt besides child support and any alimony obligations that are owed. Additionally, student loans, taxes, court government imposed fines and loans obtained by fraud will not be cleared when bankruptcy is filed. Other than these specific things, a number of other debts can be eliminated. These include things like overwhelming medical bills, repossessed car loans, credit card debt, payday loans, apartment evictions and any other consumer debt that may have been acquired over time. When you file for a Chapter 7 bankruptcy, it will stay on your credit report for a while. Normally this will end up being around 10 years. However, this doesn’t mean that you won’t have credit for a decade. Once your bankruptcy case is filed, you will likely begin getting invitations from dealerships, wondering if you would like to buy a car. Let us be clear, before you decide to obtain a car loan after filing bankruptcy, you need to know a few things. The first is that there are some lenders who will give you a loan as soon as the day you file for bankruptcy. Others are going to want you to wait until you have obtained your discharge order. This order will be issued about four months after your case has been filed. The next thing you need to know is that you are going to be liable for any debt you begin taking on after you have filed for bankruptcy. You need to really consider if you want to take on new debt since you just took the legal steps to get rid of your old debt. Lastly, you need to remember that a car loan that you obtain after filing for bankruptcy is sure to come with a very high interest rate. If this added expense is worth it to you, then by all means, get your car loan. In rare cases, people find that there are benefits to buying a car after filing for bankruptcy as this can help you to re-establish a positive credit score. If you have filed bankruptcy or you are considering doing so, we would suggest that you consult with one of our expert bankruptcy attorneys at the Law Office of Loomis & Greene. We know the ins and outs of bankruptcy and we would be happy to help you navigate the waters during this difficult time. 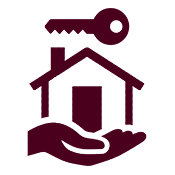 Contact us today and find out what we can do for you!